BOSTON--(BUSINESS WIRE)--With generous funding from the Robert Wood Johnson Foundation, the 100 Million Healthier Lives initiative, convened by the Institute for Healthcare Improvement (IHI), is pleased to announce that networks in 15 states across the country have stepped forward to improve health equity as “States of Solutions.” Partners across these states will seek to apply a health equity lens as they improve a range of population health challenges from chronic disease to birth outcomes to mental health to economic disparities. The 100 Million Healthier Lives States of Solutions program brings together governmental and nongovernmental partners, including those most affected by health inequity. In Phase I of the initiative, these states and partners will lay a foundation to advance equity by instituting improvement strategies and pursuing system change within their organizations. States that make substantial progress during Phase I will move into Phase II of the initiative, where partners will engage in equity action labs and pursue initiatives to advance strategic and coordinated actions across sectors and communities to improve health equity. Stout said that a number of 100 Million Healthier Lives partners across the country with deep experience in policy reform, system change, and equity will support states by sharing their expertise. They include the Association of State and Territorial Health Officials, PolicyLink, the Georgia Health Policy Center, Frontline Solutions, and Heluna Health, as well as IHI. States of Solutions is a signature program of the 100 Million Healthier Lives movement’s SCALE initiative. 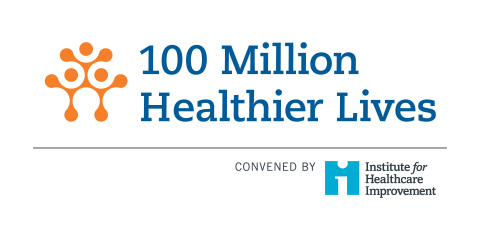 The 100 Million Healthier Lives initiative accompanies change makers at every level to develop unprecedented collaboration, innovative improvement, and system transformation to achieve breakthrough results in health, well-being, and equity. IHI is a leader in health and health care improvement worldwide. For more than 25 years, IHI has partnered with visionaries, leaders, and frontline practitioners around the globe to spark bold, inventive ways to improve the health of individuals and populations. Recognized as an innovator, convener, trustworthy partner, and driver of results, IHI is the first place to turn for expertise, help, and encouragement for anyone, anywhere who wants to change health and health care profoundly for the better. Learn more at ihi.org. 100 Million Healthier Lives, convened by IHI, announces networks in 15 states addressing health equity as part of the States of Solutions initiative.